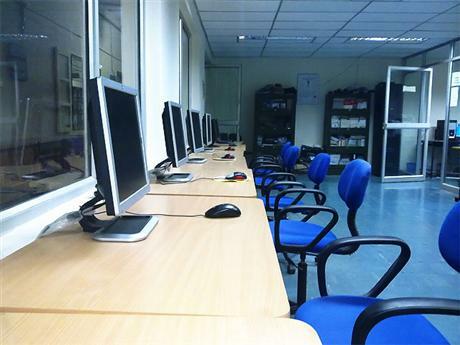 Department of Computer Science, University of Kerala, Kariavattom Campus, is one of the few University Departments in Kerala that gives primary emphasis on post graduate studies and research in Computer Science and related subjects. It receives good professional support from National R&D Institutions and Industry in the region. The student community is drawn from the entire state of Kerala and the southern districts of Tamil Nadu and most of them (70-80%) are getting placements in reputed firms, R&D organizations and academic institutions. It is a strong research centre in Computer Science and has published a good number of technical articles in International Journals Conference Proceedings Publications. In recognition of its efforts in research activities, the Dept. of Science & Technology (DST), Govt. of India is supporting it through the FIST programme with a grant of Rs 50/- lakhs. The AICTE gives grants around Rs. 10/- lakhs p.a. as scholarships to students undergoing M.Tech Programme. UGC, KSCST and other agencies also support this Department through funding. A doctorate programme is offered to a limited number of students leading to the Ph.D. degree in Computer Science. So far, 12 candidates were awarded Ph. Ds. during the last 7-8 years. Four students have completed their work and one has submitted the work to the University. In addition, five Full Time Research Scholars and 12 Part Time Research Scholars are continuing their work for the Ph.D. Degree. Dr. M. Ramachandra Kaimal 1994 "Parallel Computing Methodology for Flight Simulation." Dr. M. Ramachandra Kaimal 1995 "Artificial Neural Network Approach for the Study of Certain Control systems." Dr. M. Ramachandra Kaimal 1999 "Studies on Image Representation Techniques." Dr. M. Ramachandra Kaimal 1999 "Self Organizing Maps and Transforn Coding Methods for Image Compression." Dr. M. Ramachandra Kaimal 2002 "Application of Artificial Neural Network Approach to study the Dynamics of Chaotic System"
Dr. K. Revathy 2002 "Image Processing in Astrophysics"
Dr. M. Ramachandra Kaimal 2003 "A Parallel processing system for online Analysis of Acoustic Emission"
Dr. M. Ramachandra Kaimal 2005 "Fuzzy Models and Model Based Control for Non-linear Systems"
Dr. Achuth Sankar S. Nair 2007 "Visualization of Genomic Data"
Dr. M. Ramachandra Kaimal 2008 "Neuro Fuzzy Approach for the analysis and modelling of Acute Myocardial Infarction"
Dr. M. Ramachandra Kaimal 2008 "Neural Networks in Pattern Storage"
Dr. Achuth Sankar S. Nair 2008 "Study on web caching and Prefetching Techniques for web Traffic/Latency Reduction"
Dr. K. Revathy 2009 "Studies on Wavelet Based Image Compression Techniques"
Dr. M. Ramachandra Kaimal 2009 "Adaptive Coding Techniques for Efficient Image Processing"
Dr. Achuth Sankar S. Nair 2010 "Novel Algorithms For Microarray Gene Expression Analysis"
Dr. K. Revathy 2012 "Content Analysis for Recognition, Retrieval and Compression of Audio Signals"
Dr. M. Ramachandra Kaimal 2013 " Knowledge Mnagement Strategies for Digital Warehouses"
Dr. K. Revathy 2013 " A Study on Segmentation and Feature Extraction Algorithms for Medical Images"
Dr. K. Revathy 2013 " Performance Analysis of Wavelets/ Fractals Based Image Processing"
Dr. Achuth Sankar S. Nair 2013 "Some Linguistic Computing Issues of Malayalam." Dr. M. Wilscy 2013 "Reliable Techniques for Steganalysis of Digital Images"
Dr. M. Ramachandra Kaimal 2014 Quality Assessment of Software for Intelligent Systems Based on Neuro Fuzzy Models. Dr. M. Wilscy 2018 Algorithmic Processing of Nanoscale and Microscale Images.